Solene, a monitrice in the mountains near Bélôc. 8 miles a day. That’s the equivalent of 16,000 steps a day, or four times the amount of steps taken by the average American. But the distance covered by the monitrices is only a small piece of the story. Not only are they called upon to push themselves physically, they are also challenged to form relationships with people within the communities, provide excellent insight into health and nutrition, and face the brunt of the often emotionally and mentally draining work. She plays a leading role in the fight against malnutrition. Children dealing with chronic malnourishment may struggle to develop and grow as they should. This can have a long lasting affect on their ability to work and support their family in the future. Each Monitrice is taught how to identify the cycle of malnourishment within a family or community. She is then able to break its hold on the children in the region under her care. She provides clarity and best practices for helping sick children. Often parents will fall back on antiquated health practices that have little to no effect on the child’s struggle. Many of these children simply die because their parents did not have access to basic medicine, newborn or prenatal care. 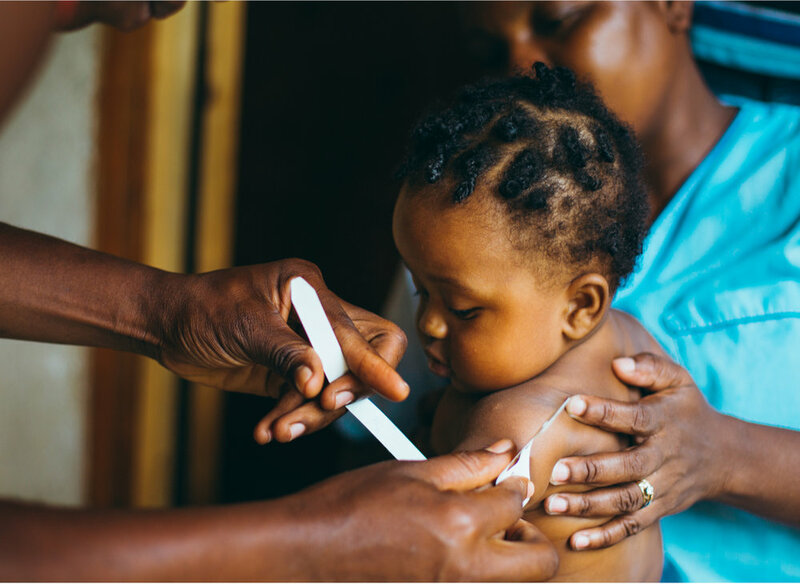 The Monitrices educate families on what methods and medicines are helpful for the care of their children. She is a leader within her community. Community empowerment is the process of enabling people to increase control over their lives, make decisions for themselves, and become more sustainable. Monitrices encourage critical thinking, as well as discussion and debate on health and other issues that affect the communities under their care. For moderate and severe acute malnutrition through our programs. For malnutrition by monitrices in Léogâne and the rural mountain regions around it. With maternal health and maternity education by monitrices and support staff. Between the unknown and hope. Keep up with their stories. You can sustain the work of a monitrice for $250 a month. She Saves the world is an initiative of CNP Haiti, a registered 501c3 nonprofit.